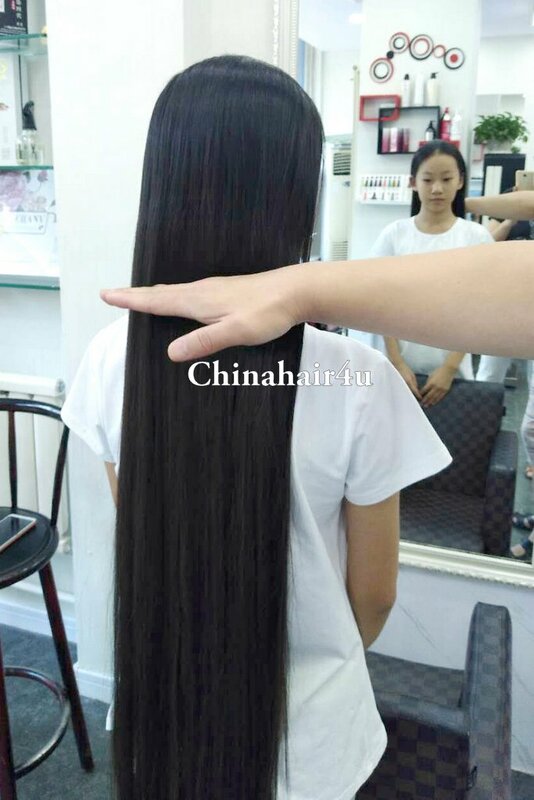 Here are hairs freshly cut from beautiful Chinese girls. 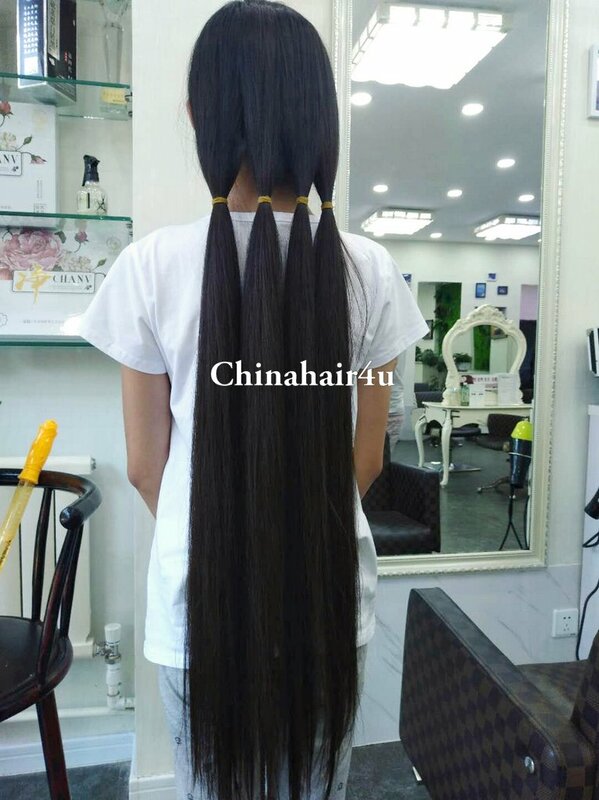 Price includes shipping and cut video. 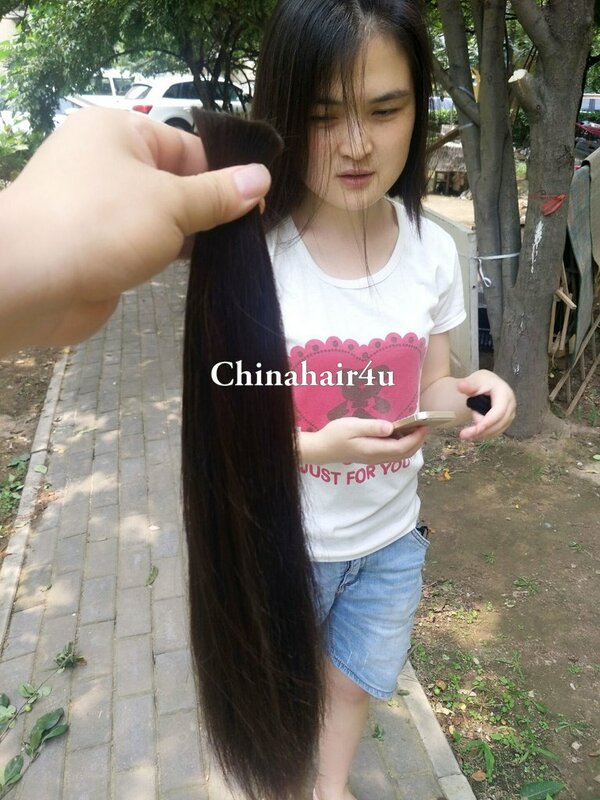 Leave phone number in "buyer's instruction". 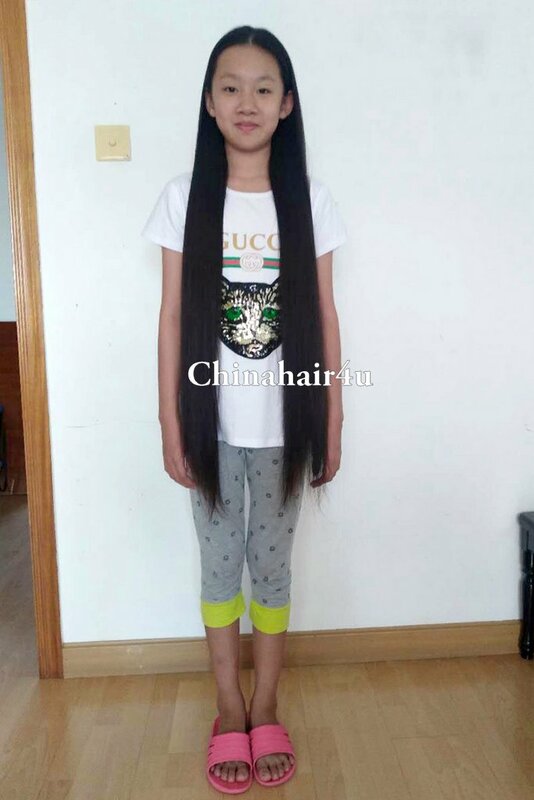 She is 23 years. 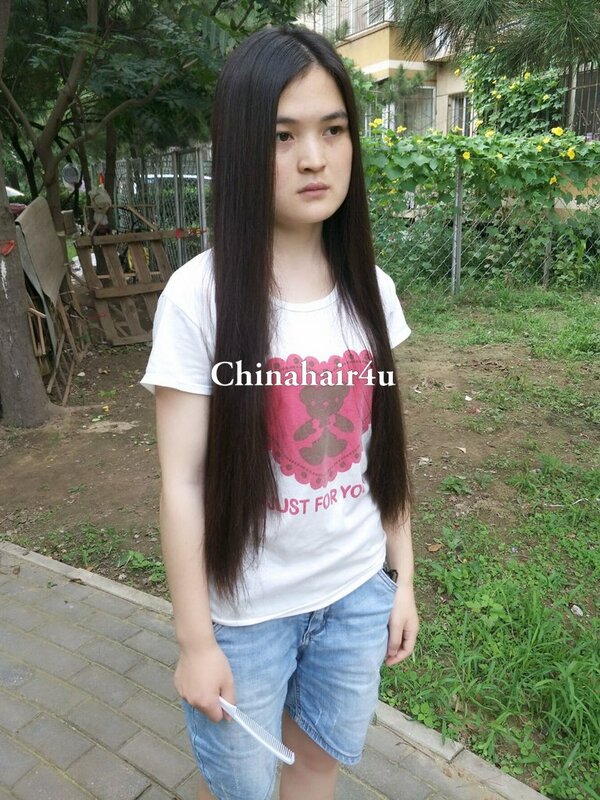 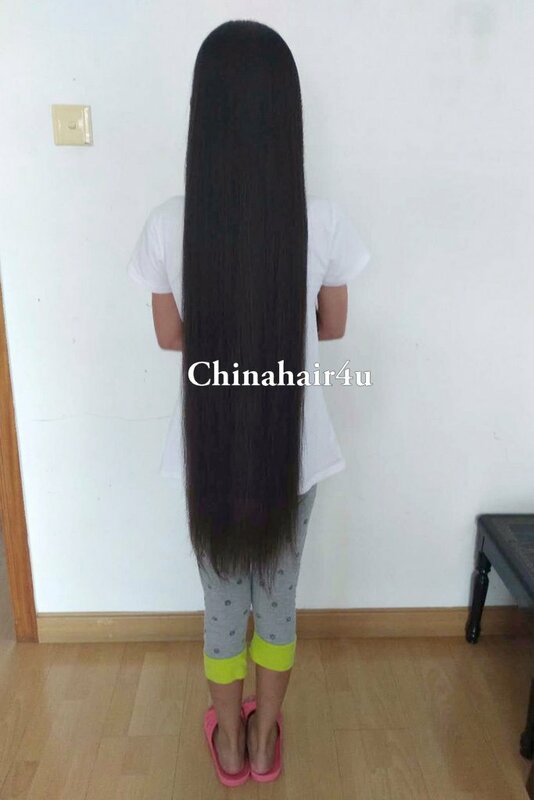 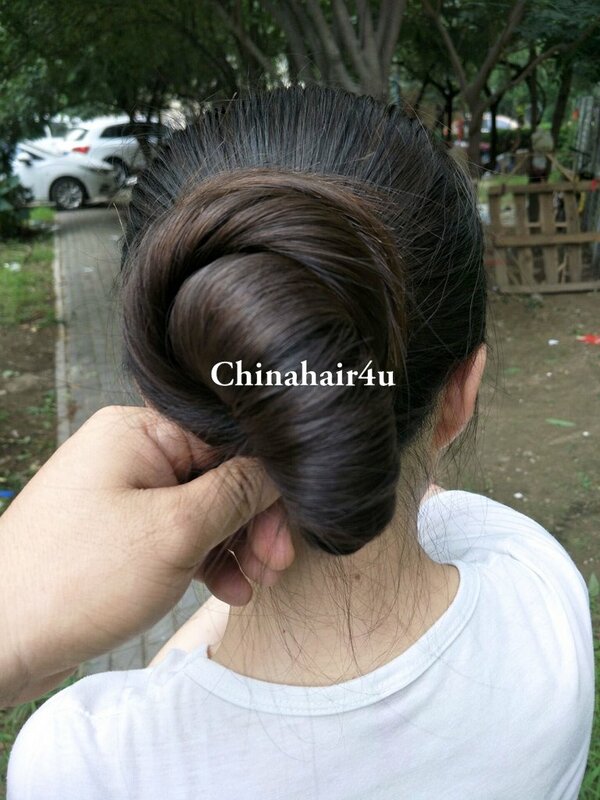 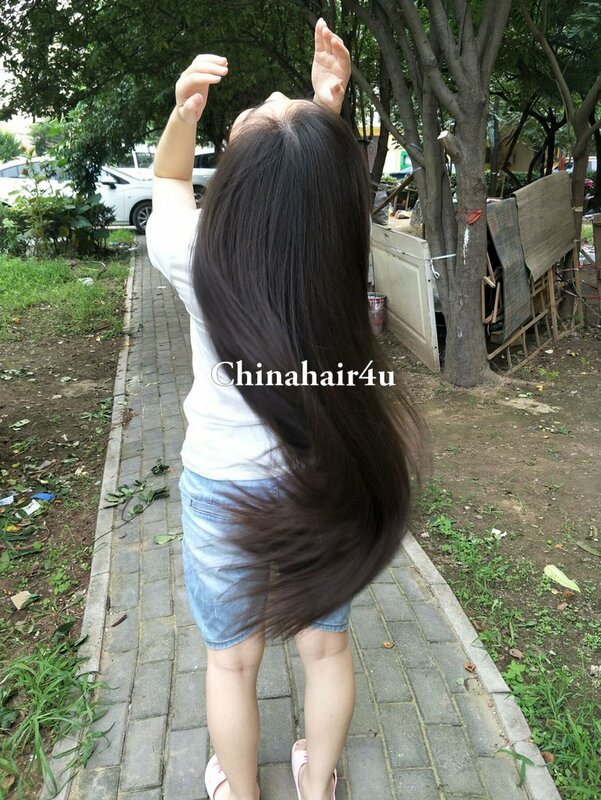 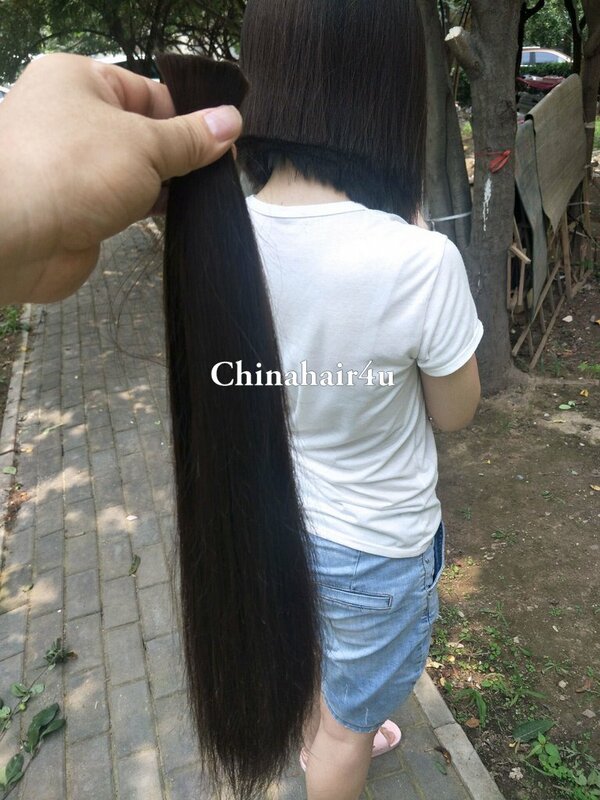 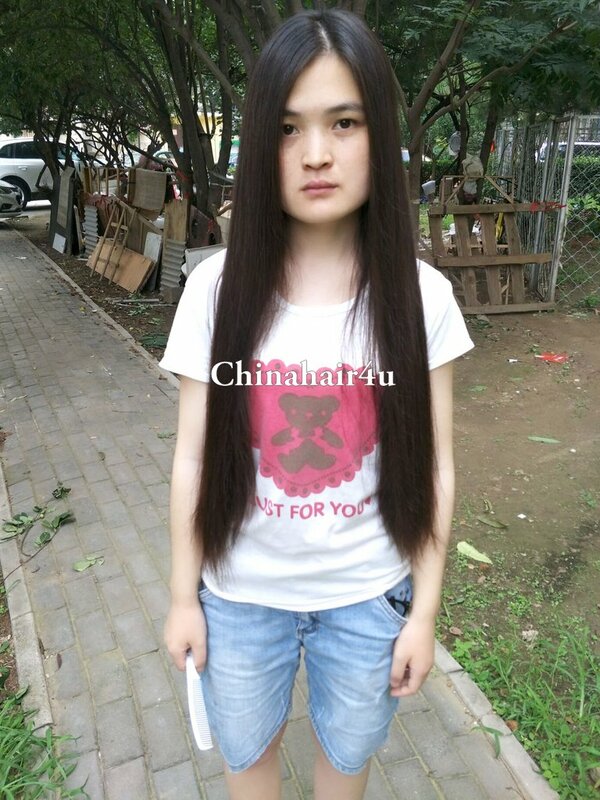 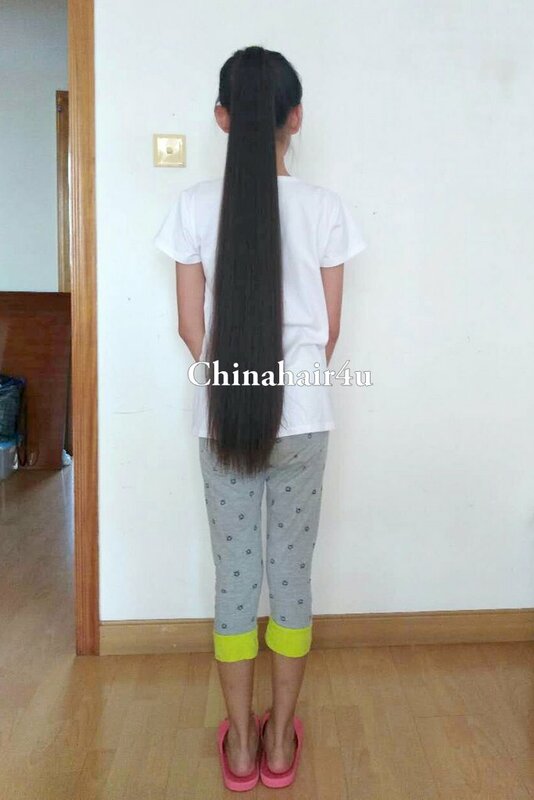 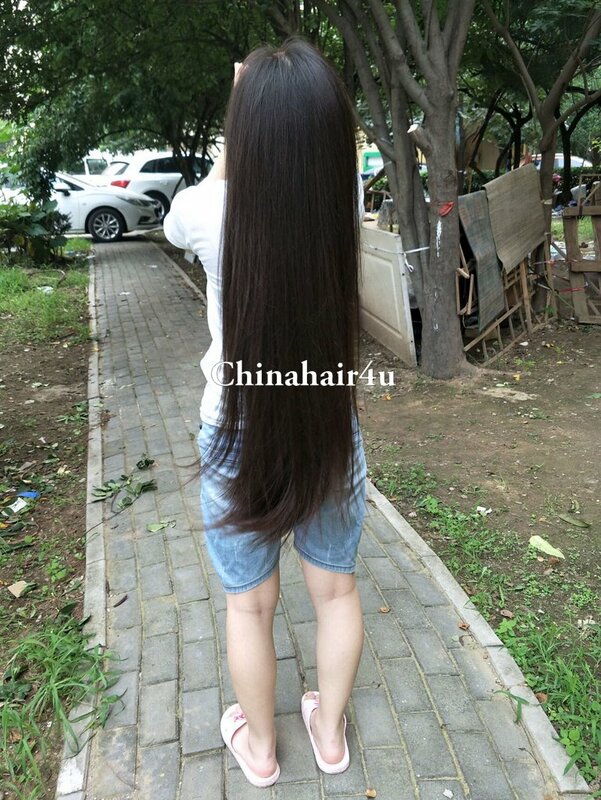 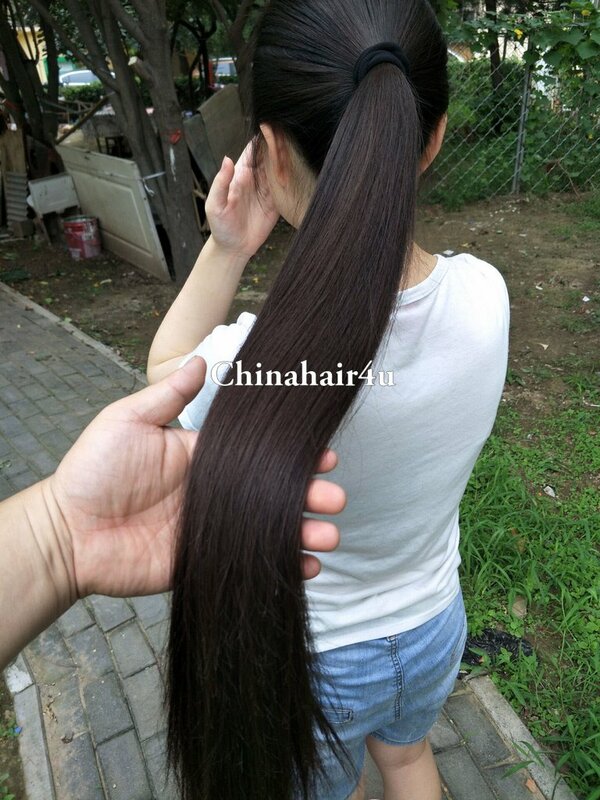 The ponytail cut from her measures 0.6 meter long. 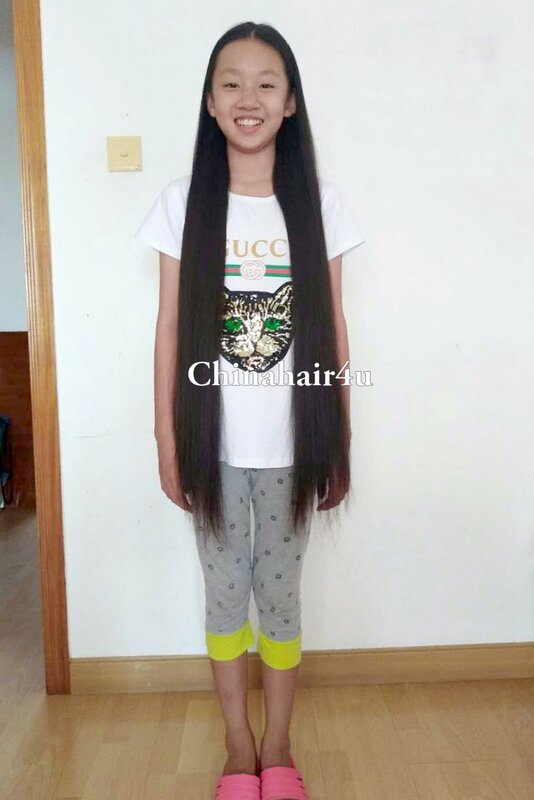 Her complete video can be downloaded here. 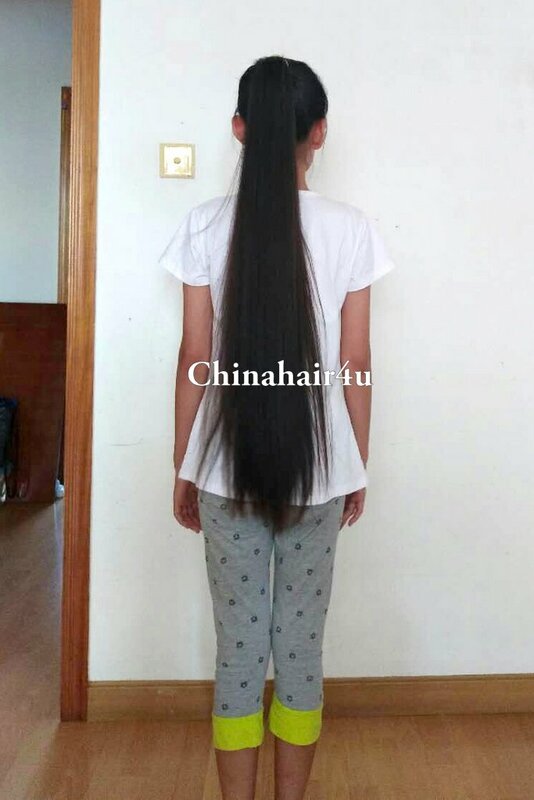 She is 14 years old. 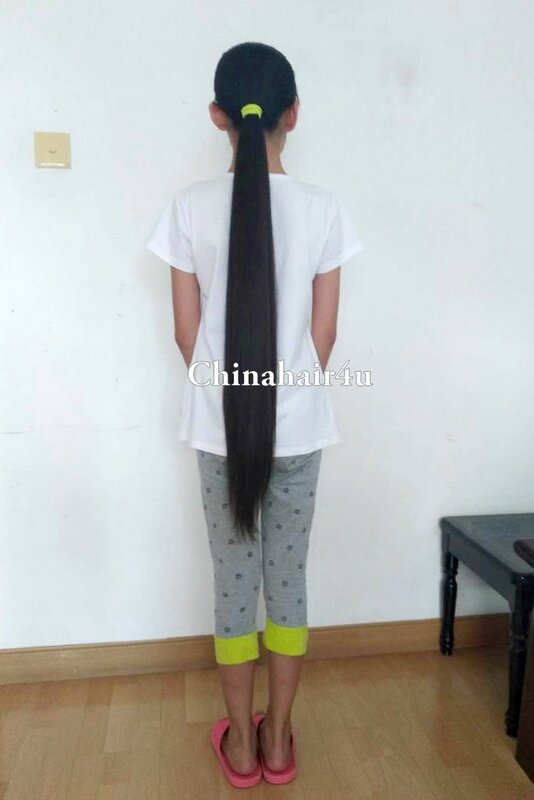 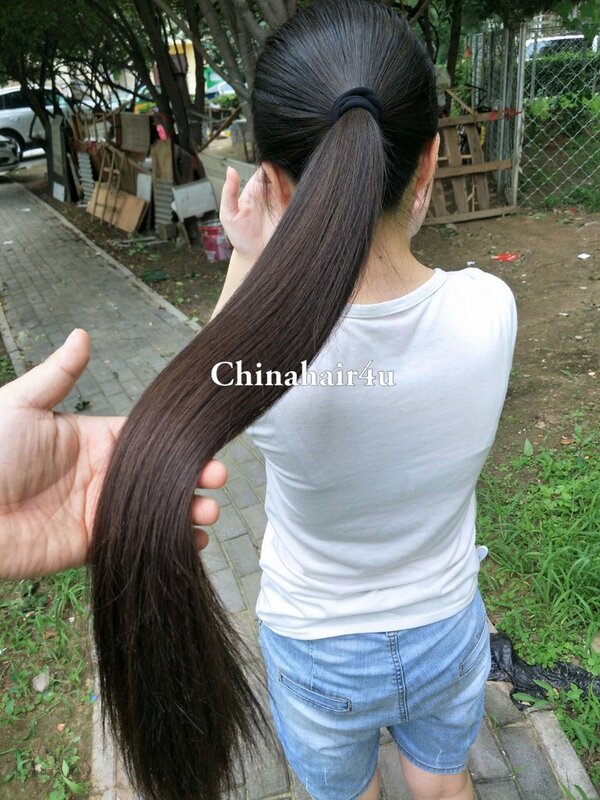 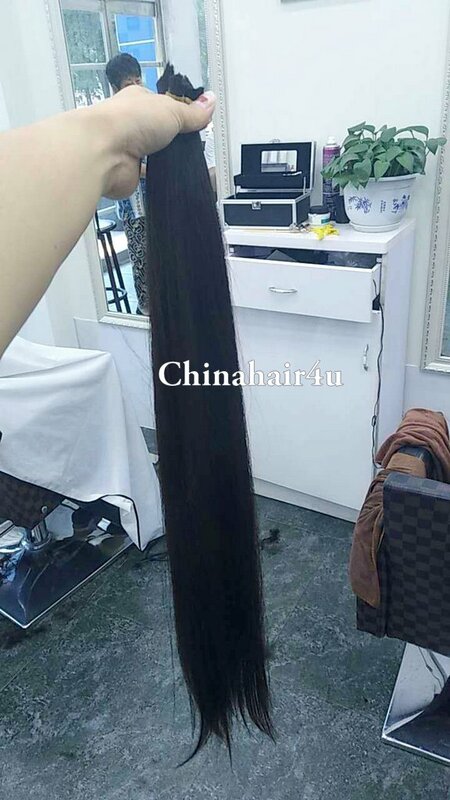 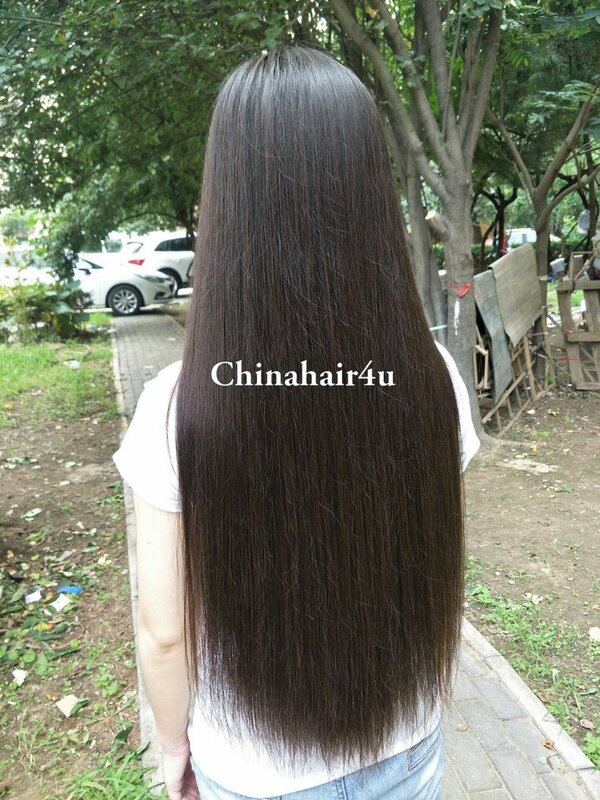 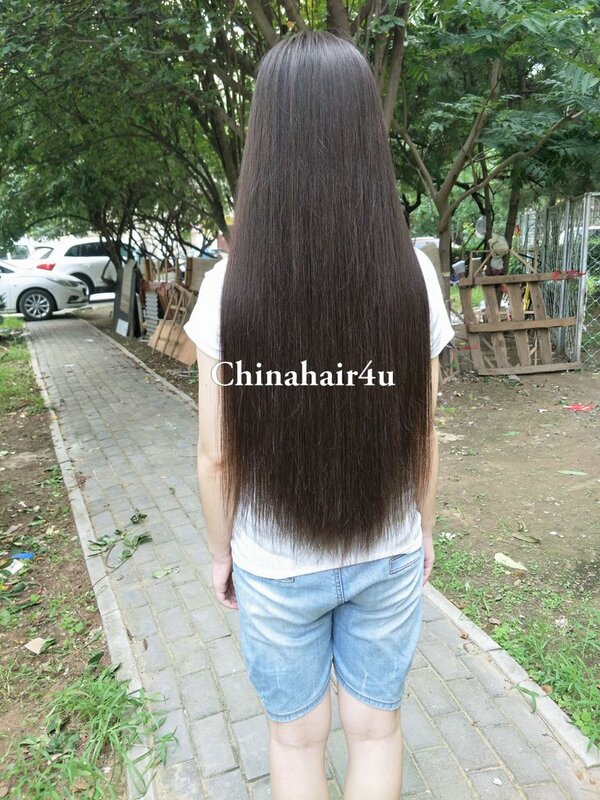 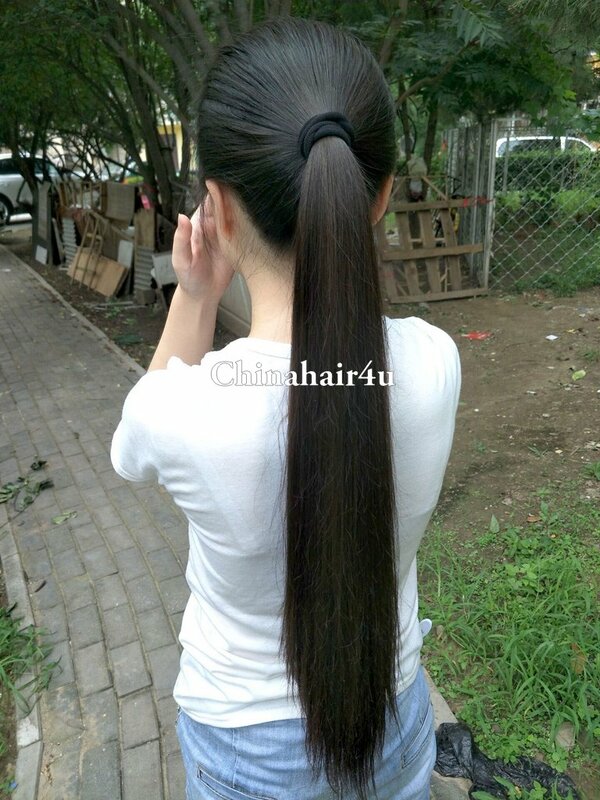 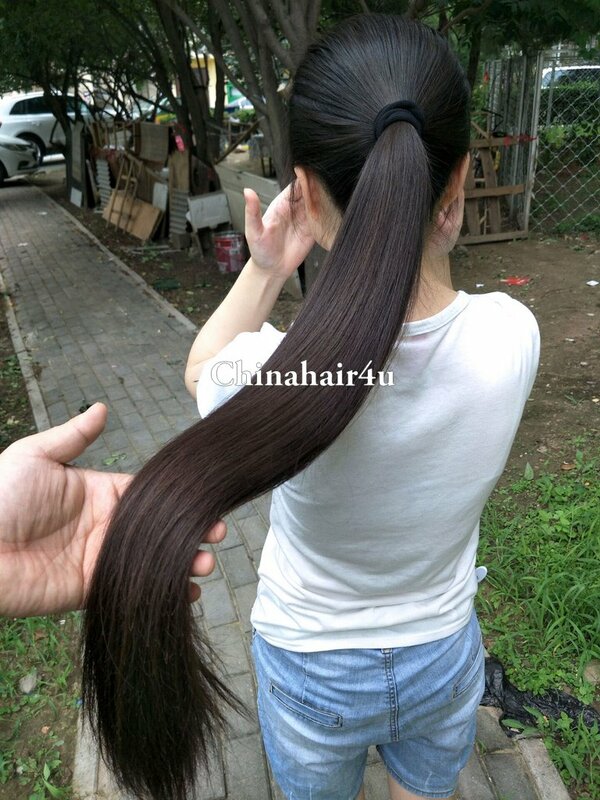 The ponytail cut from her measures 0.85 meter long. 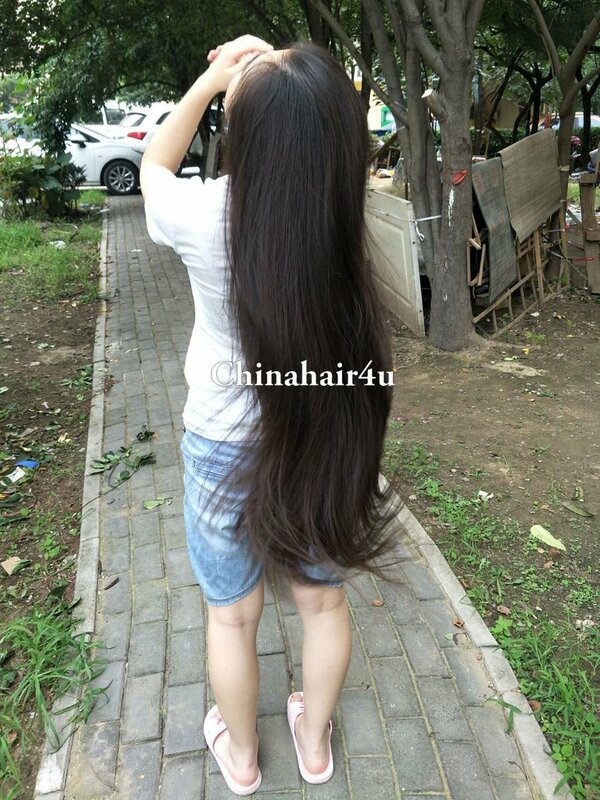 Her complete video can be downloaded here.